We have tried to improve standard pak with new elements that make the game easier and more enjoyable. Most of the vehicles are/were made in Spain by Spanish brands, but there are also vehicles made in France, UK, Germany, United States and Sweden, among others. Some of the vehicles have some sort of historic interest. There are several preserved buses that exist nowadays, and also a few prototypes. Urban, suburban, interurban. Mini, midi, maxi. You can get busses useful for four different ranges: urban, suburban, interurban and long-distance, with the aim of making easier to manage the passenger network. We have made a long list of urban buses which begins in 1922 up to nowadays, and also there are different capacities within the range. Tilling & Stevens. The oldest urban bus in the pak. Interurban buses and coaches list is not completed yet, but we hope we will be adding new vehicles soon. We realized that sometimes, using the standard pak, you can choose only one lorry for a certain period. It may have high speed which doesn't fit a short route from a factory to the store. Thus, we have created high-speed and low-speed lorries, so everybody can choose a more adequate truck for the job, and being able to deliver that freight to the city centre and still get some profit. Pegaso 1091 and 1065 for oil; low speed means less cost for urban routes; a speedy lorry is useful for long distances. Mail transport is also very important, so we have created a lot of vehicles: urban vans, suburban lorries and high speed trucksSome of them have a trailer, a modular option to increase its capacity. You can choose from a lot of different locomotives, diesel or electric, and most of them can be used for carrying both freight or passengers. Spanish pak also offers an interesting amount of diesel and electric multiple units for passenger transport, having choices for both urban transport and high speed routes. We hope you enjoy these add-ons! 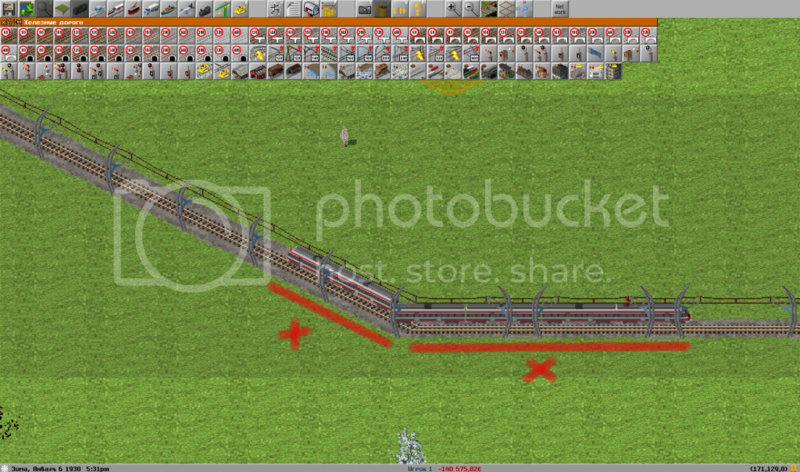 But there's a graphical glitch when this one is used in the latest pak128 nightly (pak128.open.r1454): the trains did not match the rails! 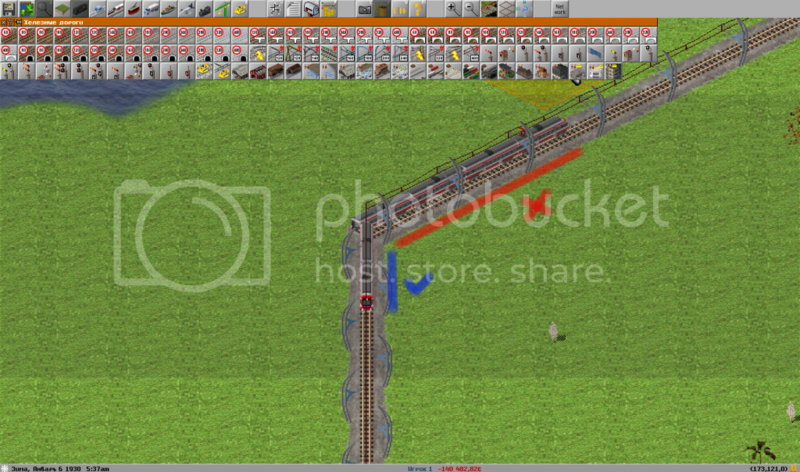 Specifically, the trains stays correct in only one direction. See the screens. This problem can be related with the pak128 developers converts all graphics to double-height mode. To play with pak128 nightly you need to download the second link, tagged as compatible with Simutrans RC120. 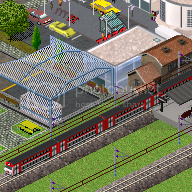 That version has trains realigned to match the new graphics. The 1.7 version of Spanish add-ons set is avaible for dowload at The Simutrans Boxroom. We have continued the timeline towards the present. Lorries from 80's and 90's have been included. There are two ranges: high speed for long routes and low speed for suburban or urban routes. This makes easier to earn profit. Iveco TurboTech car carrier from 1987, useful at suburban routes. This is a Volvo FL7 for liquid goods. From the last nineties, with low speed and costs. Its livery comes from a milk company from the North of Spain. There is something new and interesting. We have begun to create coaches fitted for modern highways. This coaches can move at 110 km/h, so you can make high-speed road routes. SETRA S-215-HD was a typical coach in the eigthies. This one has Sevibus company (Madrid-Sevilla line) livery. We are working in new highway coaches for the 21st century, and trucks for highway will be make soon. But not all the new add-ons are modern. We have included a lorry with very good power and capacity: SAVA-Berliet GPS 12, whose total weight (including trailer) is 38 t.
SAVA-Berliet GPS-12 for wood. Its total payload is 25 tonnes of wood. But there are more new vehicles in the new set version. We hope you enjoy them!